Based in Phnom Penh city - Cambodia, CGI works with the local city to address stormwater and urban green space issues. In order to maximize our impact, we intend to extend our services into other important economic growth areas, including: Ta Khmau, Kampot, Kep, and Siem Reap. CGI provides architectural and landscape design services for streetscape and bioretention systems to respond to the need for greater awareness and resources to promote design, installation, and maintenance of green infrastructure in local communities. c) offer better insulation and are more durable than most alternatives. Our production process starts by collecting plastic waste and raw material surplus from suppliers. We use our patent-pending machines to transform the materials into a mixture that can be molded into different shapes and colours. WEYE Clean Energy Company is part of a venture that combines solar and clean biomass cooking technologies to provide an affordable and clean source of cooking fuel in schools, universities, prisons and hospitals in Uganda and Zimbabwe. For a long time firewood has been the cheapest source of cooking fuel in East Africa and is widely adopted despite its negative impact to health and the environment. Alternative cooking technologies such as solar cookers, biogas cookers and fuel briquettes exist but have not been affordable for institutions to set up and maintain. Fuel briquettes have the most potential to be an affordable alternative source of cooking energy in institutional kitchens but their adaptation to institutional kitchens has been hindered by the lack of stove technology. WEYE Clean Energy Company sources material and produces affordable and efficient cooking briquettes by carbonizing, crushing and compressing organic agricultural waste from farms, food markets and households. Our business reinvests profits into market expansion, and training youth and women from slum communities to become employed by WEYE, sourcing materials and marketing our products. Bumdest develops a natural pesticide with enhanced rainfastness, whose raw materials come from local natural resources in Samigaluh District, Kulon Progo, Yogyakarta, Indonesia. We formulate our pesticide by combining eugenol and citral from clove and lemongrass oil which are available abundantly and commonly produced in Indonesian farms. Using this combination of essential oils increases the effectiveness and scope of a natural pesticide. The effectiveness of eugenol and citral is known to decrease by the time due to its volatility so Bumdest overcomes this challenges through entrapment using chitosan which is produced from crustacean shell waste. The use of chitosan as our matrix is saves up to 45% of the spray volume of pesticide. Besides these three materials mentioned we also utilize saponin from tea seeds waste as adjuvant to increase the rainfastness of natural pesticide. Saponin is chosen due to its structure which makes it become amphiphilic and surface-active compound. Our natural pesticide with enhanced rainfastness is produced by a Samigaluh village-owned enterprise. Leveraging a village-owned enterprise aligns with the social purpose of Bumdest which is to empower rural economies and reduce economic inequality in Indonesia. Since the extraction of clove and lemongrass oil is frequently done already by Samigaluh farmers, the development and replication of our business is more effective and sustainable by being led by these farmers. 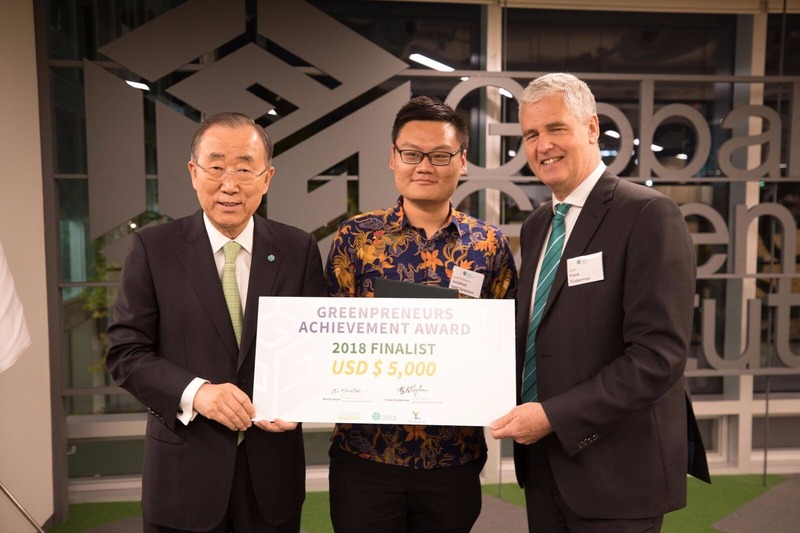 GREENPRENEURS is a cross-cutting accelerator program supporting youth-led new and emerging solutions to global sustainable development challenges. healthy environment, safe climate and thriving clean economy. 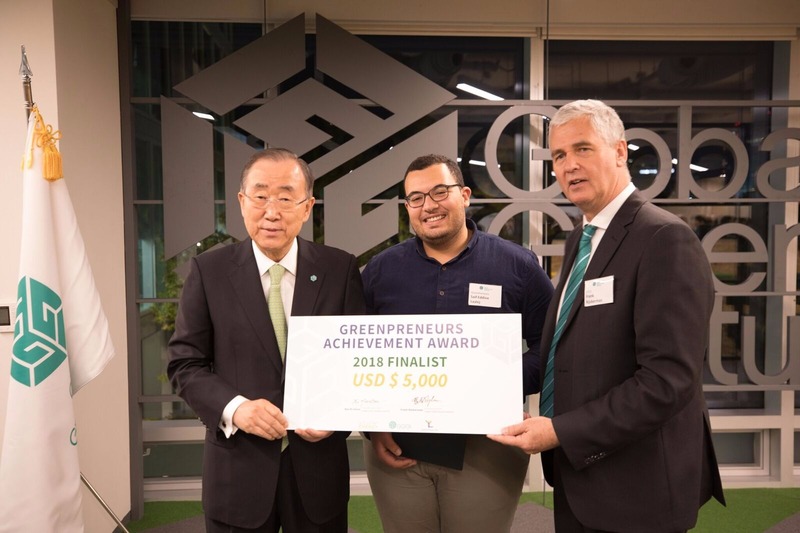 The goal of GREENPRENEURS is to unlock, accelerate and support the natural innovative tendencies of youth to foster a generation of climate and development leaders that are collaborative implementers of green solutions. 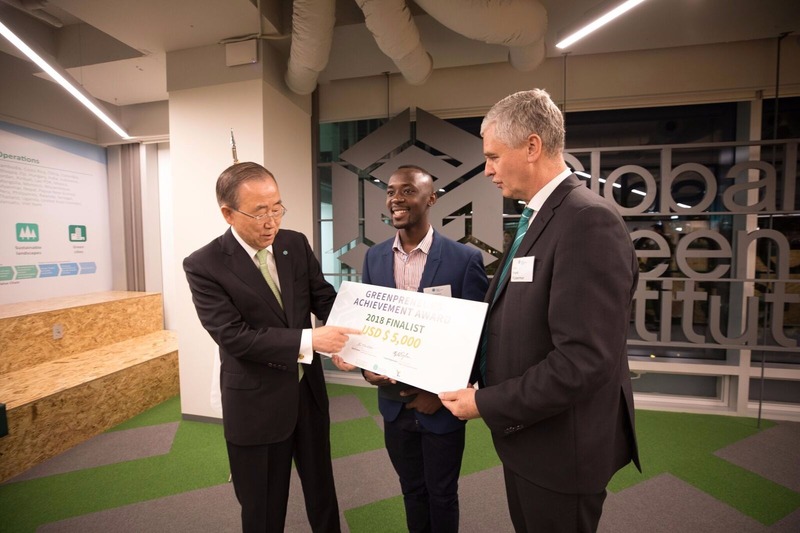 GREENPRENEURS is a twelve-week global competition open to youth between the ages of 17 and 35. Submit your idea for a solution that positively impacts the future of sustainable energy; water and sanitation; sustainable landscapes (forestry and agriculture); or green city development. These priority themes reflect the urgent issues impeding growth in developing countries in the context of green growth, climate change, and Sustainable Development Goals (SDGs). Its intentional broadness is expected to ensure maximum inclusion of creative and innovative ideas from around the world. Key features of the program are 1) a series of webinars, 2) business plan competition, and 3) mentorship/small-scale seed funding for the winners of the program to take their ideas from conversation to tangible impact. Please contact greenpreneurs@studentenergy.org if you have any further questions or would like to engage with the program as an organization or mentor. For 2019, the core program will run from June 3rd to Aug. 25th. Each week will feature a virtual webinar, mentorship and weekly tasks supplemented with online resources and inter-team communication on the Greenpreneurs web portal. At the end of week 12, each team will submit their Business Plan with the winners announced in Sept. The program will be run virtually to make sure youth can participate globally. This means you will need a consistent internet connection to participate, one that can support a virtual webinar and G-suites. Test your internet connection here. Remember, your public library will often have community internet access (but bring headphones!). What internet bandwidth do I need for Google Hangout Webinars? Google tells us that for person to person video hangout the min bandwidth required is 256kbps/512kbps (up/down) and ideally for the best experience 1Mbps/2.5Mbps) Test your internet connection here. For this competition, only teams working for/within GGGI member countries, which are primarily lower-income and middle-income economies, can participate. The top four teams (one per theme) who win the Business Plan Competition will win USD$5,000 per team in seed funding to get the initiative started. We will have four bursaries to the 2021 International Student Energy Summit available - a Summit which unites 700 students from 100+ countries to engage with the world's energy leaders and innovate for the sustainable energy future. 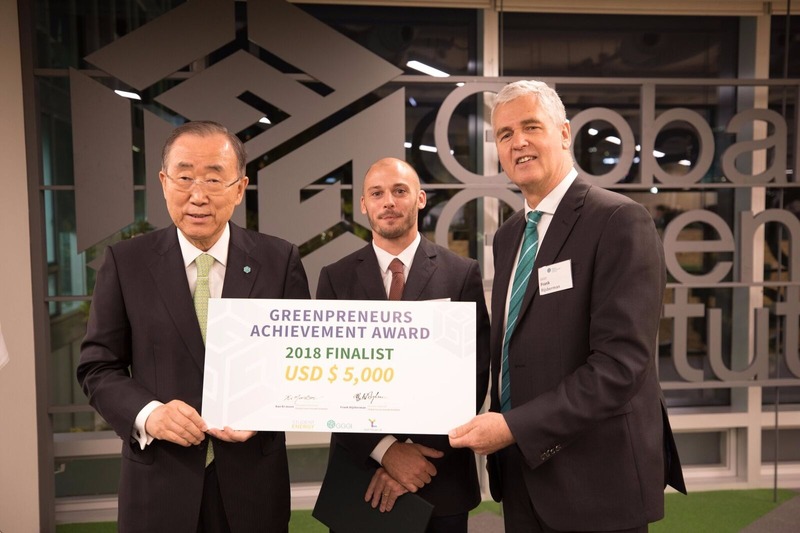 Finally, depending on countries participating, there will also be the potential to collaborate with the Global Green Growth Institute at their country offices. Do I need to apply in a team? Yes. We will consider teams with 2 - 5 members, but we recommend teams of 3 - 4 members, with enough people to pool skillsets, not so many that you spend all your time coordinating schedules. 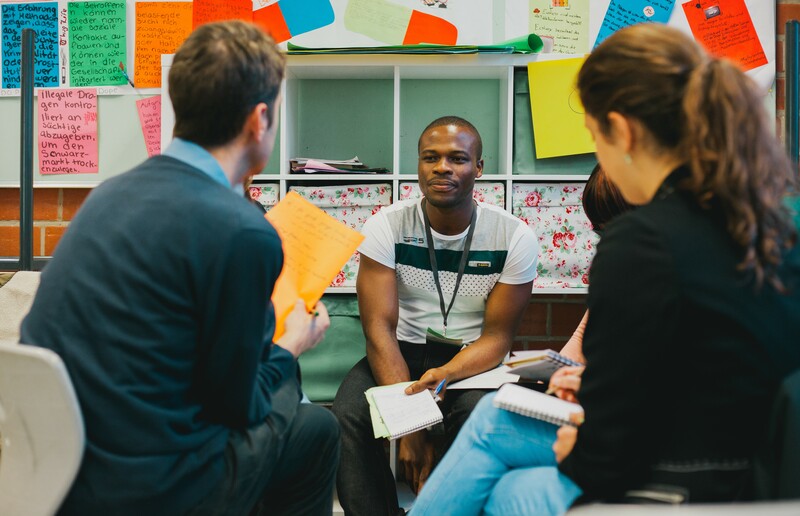 Collaboration is a key component of this accelerator and as it is a condensed accelerator, you will be able to take your idea to a more developed stage by working with a team. We highly encourage teams led by women or with women members to apply! Do I need experience in entrepreneurship? Nope! However, we do recommend that you apply with some experience in sustainability or the topic of your idea. This accelerator will be fast-paced, so the more knowledge you have of your community/regional context and the topic you are working with the greater your competitive advantage. 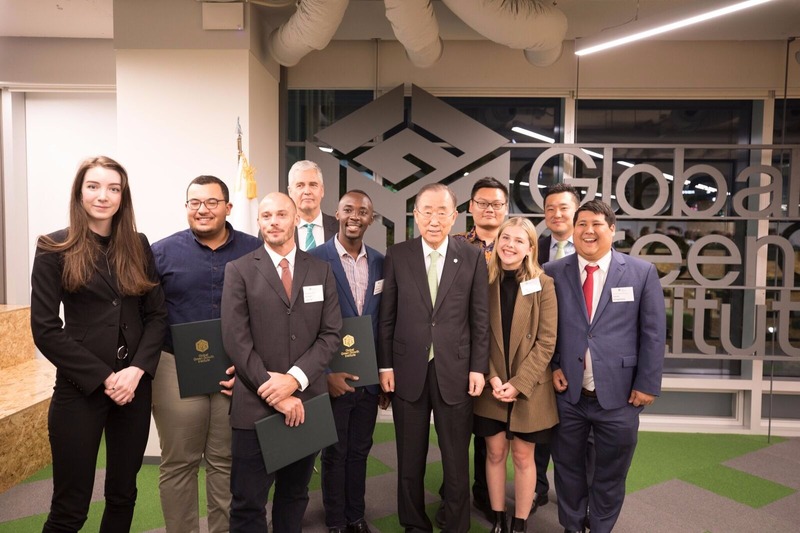 Greenpreneurs grew out of the collective goal of three organizations: The Global Green Growth Institute, Student Energy, and Youth Climate Lab, who wanted to support young people develop a sustainable idea or solution that would positively impact their communities and the Sustainable Development Goals. 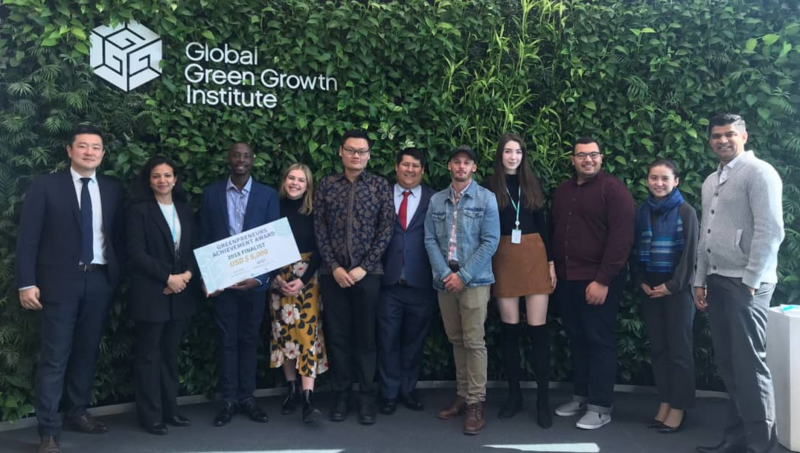 The Global Green Growth Institute (GGGI) is a treaty-based international, inter-governmental organization dedicated to supporting and promoting strong, inclusive and sustainable economic growth in developing countries and emerging economies. GGGI was founded on the belief that economic growth and environmental sustainability are not merely compatible objectives; their integration is essential for the future of humankind. GGGI works with partners in the public and private sector in developing and emerging countries around the world to put green growth at the heart of economic planning. innovative projects for climate action. YCL works with governments, businesses, civil society and international organizations to identify, design and pilot new ideas for effective climate action. 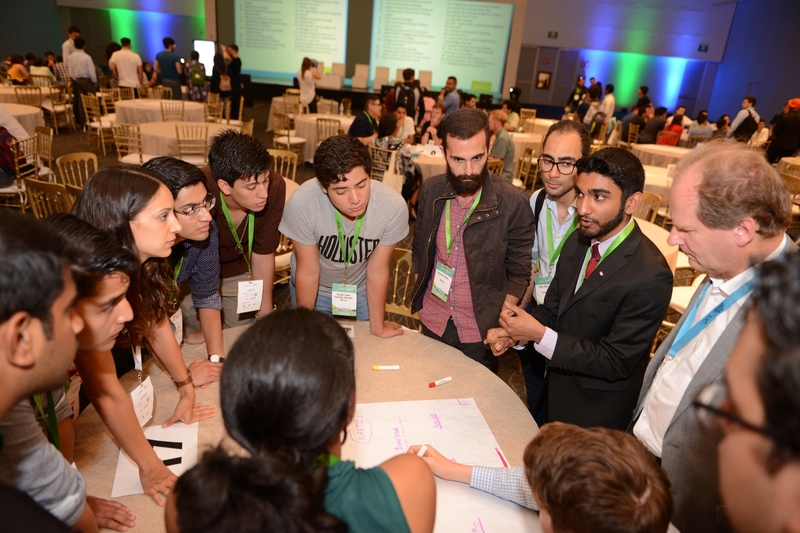 YCL focuses on delivering a range of programs that have demonstrated potential to stimulate climate innovation and create strategies and tools to make it easier to get involved in climate action.